The road to Detroit is long and they have to face some problems on the way, but the real problem is to get their hands on 4 Kisstickets in less than 1 hour and 45 minutes. 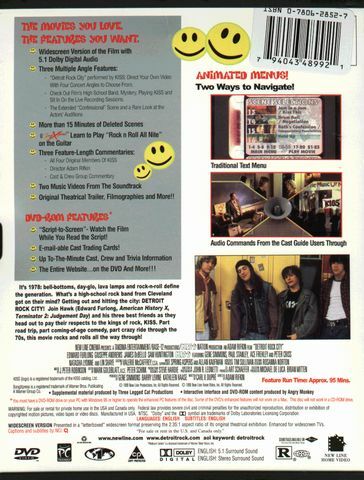 Detroit Rock City is a very funny movie, and this DVD from New Line Cinema`s Platinum Series is propped with very cool exstra material. ( See above for details ) Nothing but the best from New Line as usual. You don`t have to like Kiss for enjoing this movie, but it helps. The film has a very good music score, and it is very entertaining. 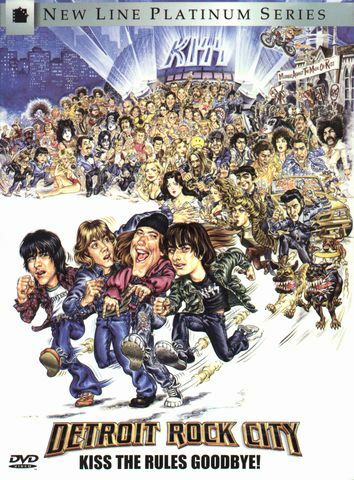 This movie is worth having in your collection, and I give it full score - 6.¨ROCK`N ROLL ALL NIGHT WITH THESE 4 LOONIES IN PURSUIT OF KISSTICKETS! !